Most people know me as Brother Nature - Captain Mike - the charter boat fisherman and rightly so. 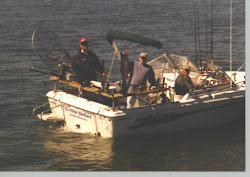 This blog has been mostly oriented to my boat, my customers, the fishing and the enjoyment of Lake Michigan. Rightly so. But now, the fishing season is over and I'm off to other activities. Among them, is writing another blog detailing the things I do when I'm not being Captain Mike. If you'd like to follow me down this trail, feel free. I invite you along and welcome your comments. Go to http://www.bronature.com/. Be a part of Mike's Outdoor World.